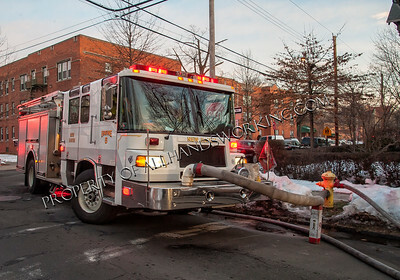 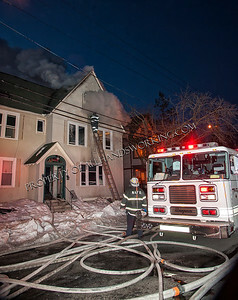 New Haven 2nd alarm Box 901 255 Ellsworth St.
02-22-13 New Haven, CT - A busy night for New Haven firefighters had them battling back to back second alarm fires. 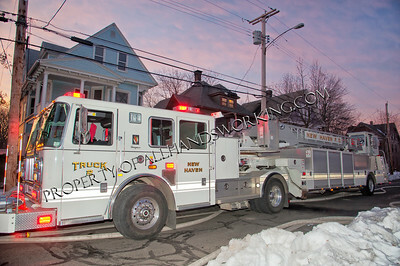 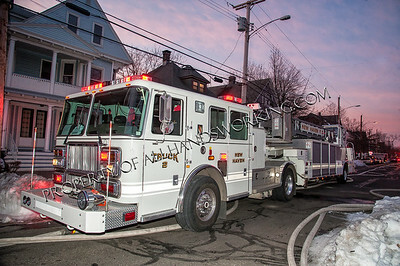 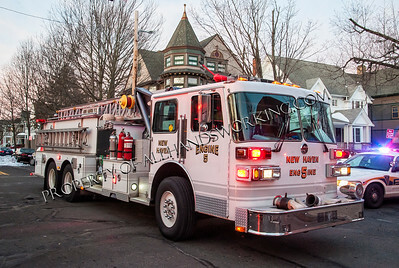 The first was located on Grand Ave and was a verbal to fire headquarters at approximately four in the morning. 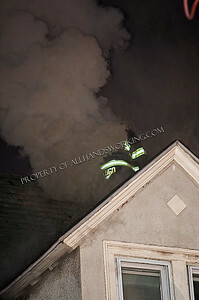 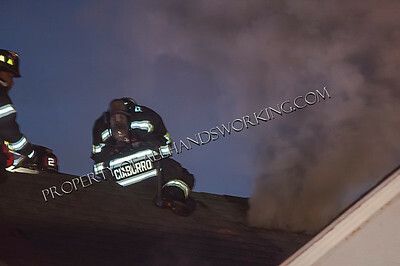 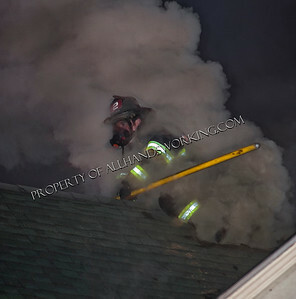 Companies had a three story brick, vacant building with heavy fire. 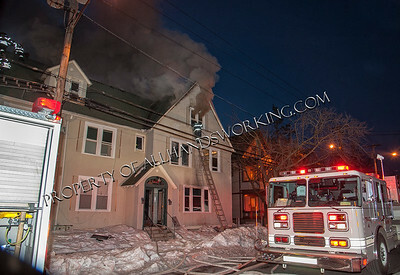 Shortly after five a.m. firefighters were dispatched to 255 Ellsworth Ave for a reported bedroom fire. 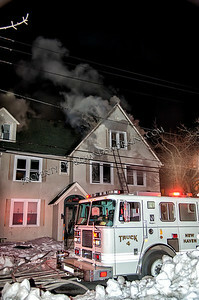 First due companies were faced with heavy fire on the first floor of a large occupied multiple dwelling. 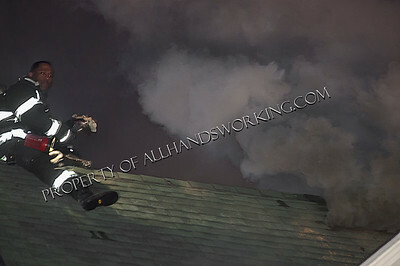 The fire quickly extended to the third floor and attic space prompting a second alarm to be transmitted. 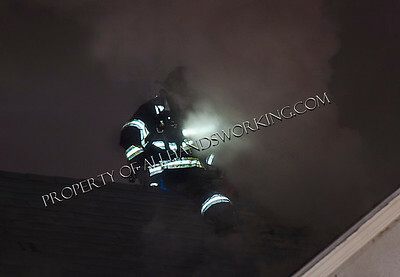 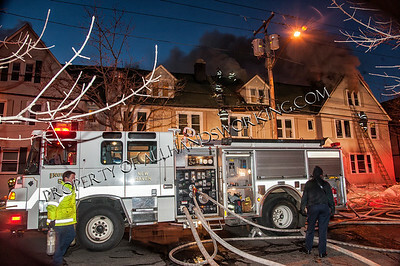 Firefighters mounted an aggressive interior attack to keep the fire from spreading throughout the apartment complex. 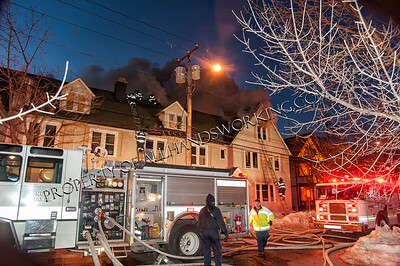 The fire was brought under control in an hour. 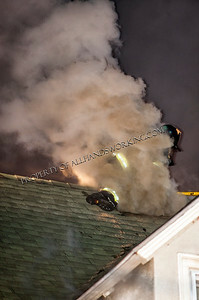 No one was injured, but about forty occupnats were displaced. 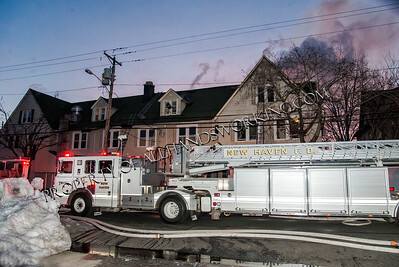 The cause of the fire is thought to be a space heater. 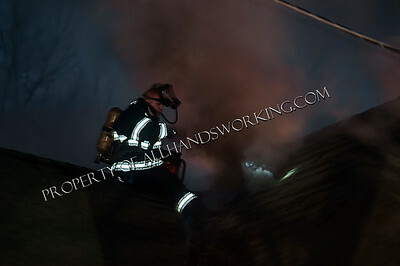 Companies would remain on scene throughout the morning at both fires.